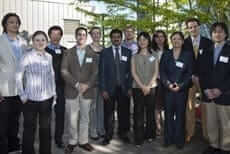 The New York Stem Cell Foundation (NYSCF) today announced the award of eight new NYSCF-Druckenmiller Fellows. These postdoctoral scientists join 15 accomplished stem cell researchers from leading institutions who have been supported by the program since 2006. NYSCF has awarded 23 fellowships to date.